Quick. 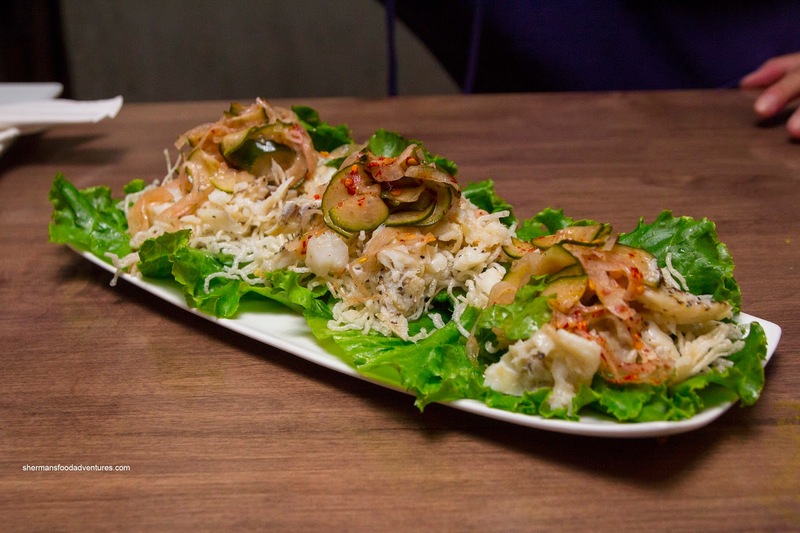 What is the first food item you would think of when heading to a bar? Wings? Hamburgers? Nachos? 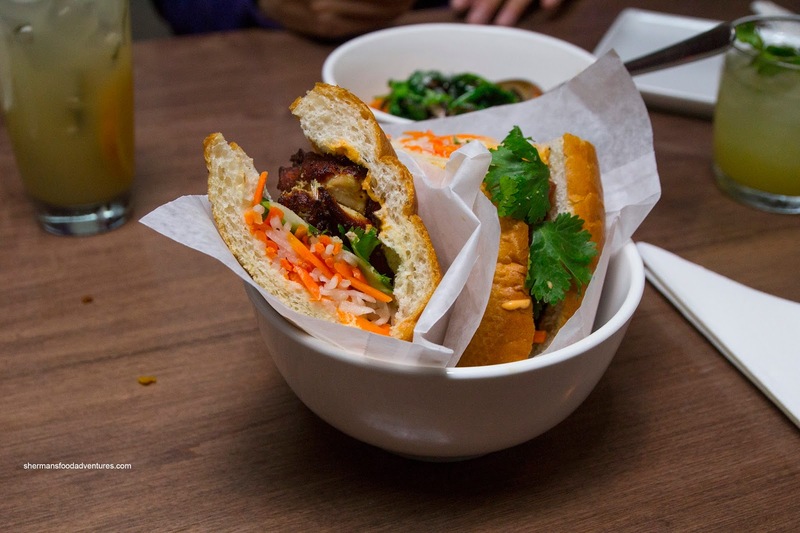 How about a Banh Mi or a Vermicelli Bowl perhaps? In Vietnam maybe? Nope. 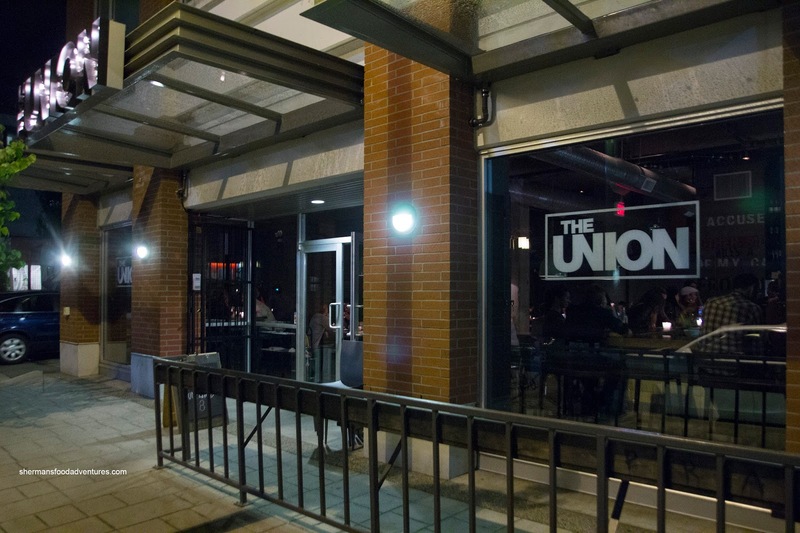 Located on the outskirts of Chinatown, that is exactly what The Union serves up with their beverages. We made our way to this peculiar establishment after our Friday night league game. 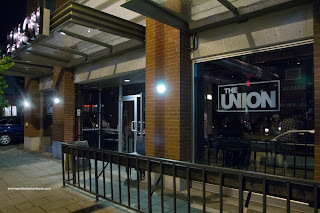 With communal seating and 90's music blaring in the background, we immediately liked the vibe of the place. Milhouse and I decided to share the Lemongrass Banh Mi to start and despite the $8.00 price tag, we liked it. Sure, it passed the psychological threshold of $5.00, but hey, it ain't a Vietnamese Pho joint. The baguette was light and crispy while the chicken was charred nicely. It wasn't exactly juicy, yet it stayed away from being dry. 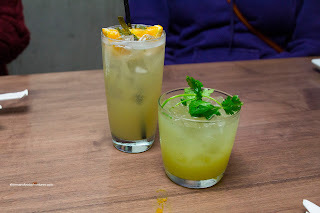 It was flavourful in a smoky way with only a touch of lemongrass. The rest of the ingredients were spot on including the pickled veggies. 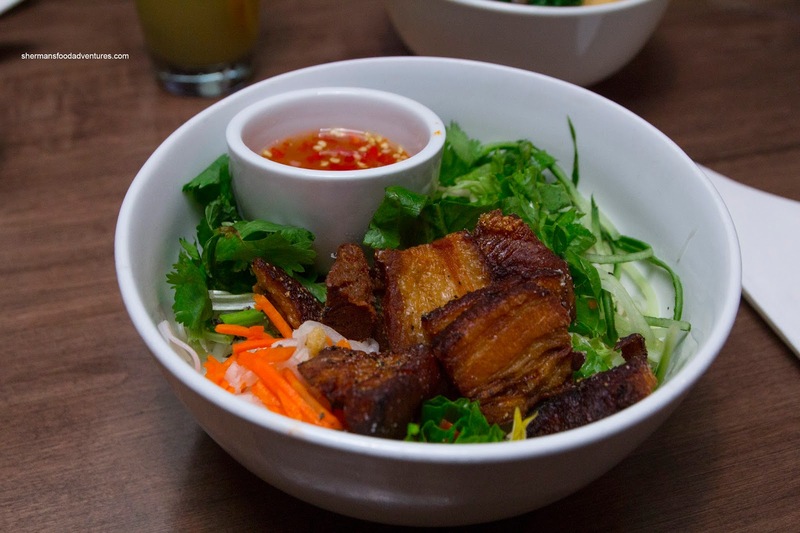 For myself, I had the Pork Belly Vermicelli Bowl which was modest in size but packed a wallop in flavour when I added the side of Nuoc Cham. 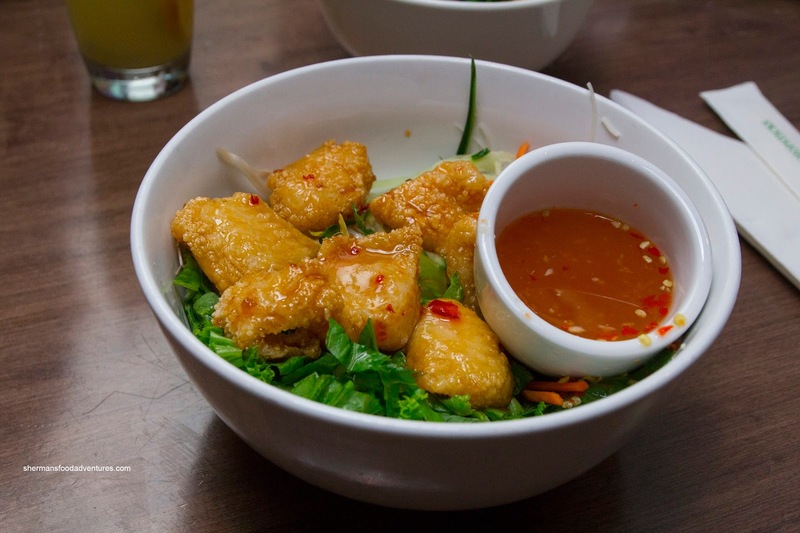 Sure, it was sweetened fish sauce, but the addition of Thai chilis made it lethal. I liked it though because it was not a wimpy attempt at flavour. The fried pork belly was fatty and tender with a light crunch. Milhouse opted for the Sweet & Sour Fish version and despite the name, it was good. The fish was still flaky and moist while sporting a very thin batter. The sauce was kept to a minimum and was as advertised. 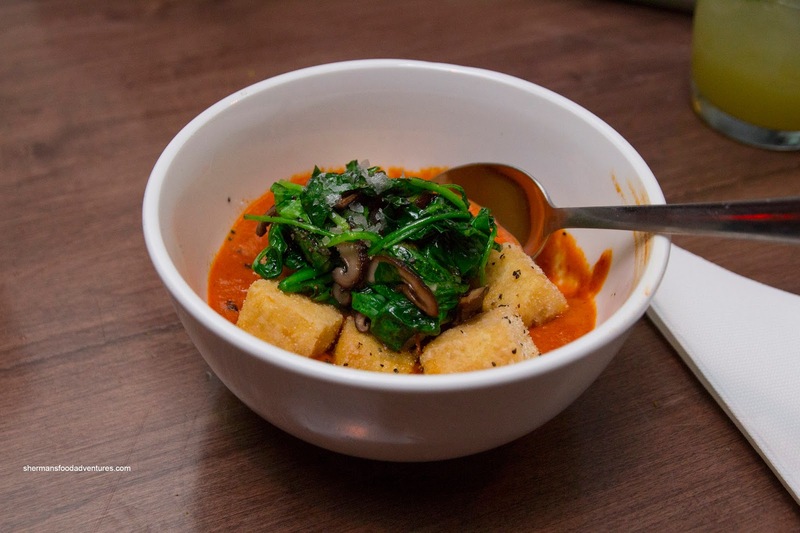 Sweet Tooth and Emilicious ended up sharing the Crispy Fried Tofu with spinach and shiitake saute in a Thai red curry. The first order was a bit too salty and they sent it back. It was happily replaced very quickly to our pleasure. Seemingly like a tomato paste dominant version of butter chicken, the curry was mild but not lacking in flavour. They actually got a side of naan to soak it up. The tofu was on the firmer side and fried nicely. They also had the Nam Prik Pla which arrived as mounds of chilled spicy fish, noodle crisps and cucumber pickle on lettuce. It was a bit clumsy to eat due to the amount of filling, but it was okay with a nice crunch from the cucumber. The fish was a bit dry, but didn't kill the dish. "Not bad" was the consensus from the group even though the prices were higher than one would expect for this type of food. I guess you need to be in the right frame of mind.